Jeannie Shoveller, PhD, FCAHS, is the Director of Research at the BC Centre on Substance Use at St. Paul’s Hospital in Vancouver. She is also a Professor at the University of British Columbia’s School of Population & Public Health, where she leads a large interdisciplinary research and training program on social health inequities, including those related to substance use. She has supervised more than 70 Doctoral and Master’s students as well as Post-Doctoral Fellows. Professor Shoveller is a member of the Governing Council of the Canadian Institutes of Health Research (CIHR). 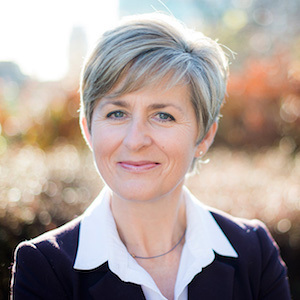 She is a member of the CIHR College of Reviewers and has served on many peer-review committees, including the CIHR Banting Post-Doctoral Fellowship. She also is actively engaged with other science funding organizations (e.g., Institut National du Cancer, France) and has been an InvitedVisiting Scholar at numerous universities, including: University of Edinburgh; University of the Mediterranean & Aix Marseille; French National School of Public Health; Federal University of Rio de Janeiro; State University of Rio de Janeiro; Brown University; University of Bern; and, University of Melbourne. Professor Shoveller is the Associate Director of the Centre on Gender & Sexual Health Equity, also hosted by Providence Health Care. Previously, she has held several executive leadership roles, including asformer Director of UBC’s Human Early Learning Partnership (HELP). In 2015, she was inducted into the Canadian Academy of Health Sciences as an “outstanding public health scholar whose leadership and vision has contributed to system change nationally and internationally”.